Table Mountain is one of the most popular destinations in the world, and a must-see for anyone considering visiting Cape Town. This majestic wonder has so many interesting features including how it developed and evolved over millions of years, as well as the natural inhabitants like the plants and animals that can be found on the mountain. Very few places in the world can say they have a mountain in their city. It is one of the most photographed places in the world and it is said that even ships can see Table Mountain from 150 km away. Table Mountain is a popular tourist destination in Cape Town, and approximately 800 000 people visit it each year. Table Mountain offers many characteristic features and is unique in many ways. Table Mountain gets its name from its flat top. It is often covered by clouds formed by the southeasterly wind which is known as the Tablecloth, a well-known feature, and magnificent sighting. Over the years Table Mountain in Cape Town gained the name “the sleeping giant” because of its shape and structure; it literally looks looking like a sleeping giant, but back in the day the Khoi and San people use to refer to it as “Hoerikwaggo” which is translated to ‘Mountain of the Sea’. Table Mountain in Cape Town has a flat top that stretches 3 km from side to side, surrounded by steep cliffs and impressive rock formations. The mountain lies between Lions Head and Devils Peak forming an impressive backdrop into the city of Cape Town. It has a height of 1,085 meters above sea level and boasts an incredible 360-degree view over the city, Atlantic Ocean and Cape Peninsula. Table Mountain marks the most northern- end of the Cape Peninsula which runs about 50 km south to Cape Point and the Cape of Good Hope. The Table Mountain range is divided into 4 main features namely Constantia Neck, Back Table, Table Mountain, and Devil’s Peak. Table Mountain in Cape Town and has been recognized by United Nations Educational Scientific and Cultural Organization, making it a UNESCO World Heritage Site. 2012 marked a memorable achievement for CT and South Africa as Table Mountain was nominated one of the New 7 Wonders of Nature, and this goes without saying because it is by far one of the most beautiful features of the Western Cape, South Africa, and in the world. Having competed against several worldwide runner-ups for the title in an international vote that brought in over 100 million votes, Table Mountain took the win coming in at 7th place for the New 7 Natural Wonders of The World. 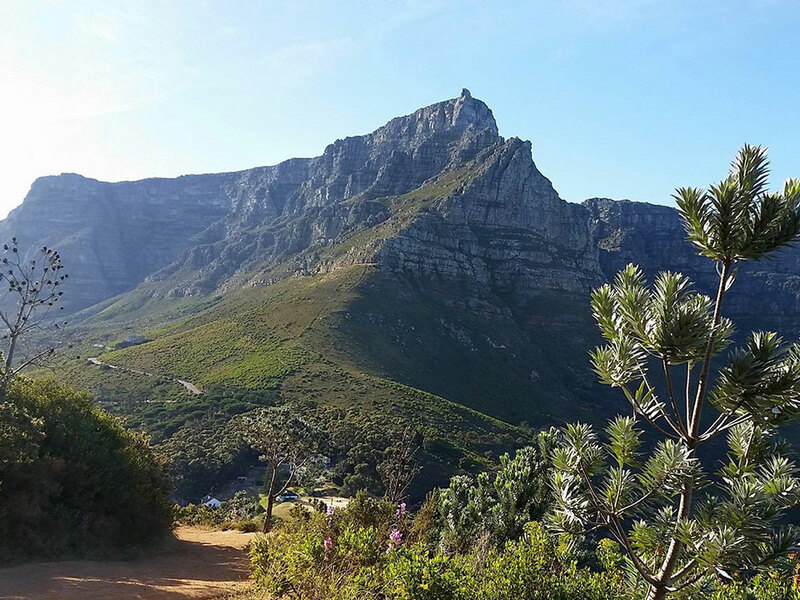 With a visit to Table Mountain in Cape Town, you will find yourself in a hiker’s paradise. You could also enjoy excellent mountain biking trails, taking in the breeze of nature as you leisurely pedal your way through rugged terrain. There are impressive cliffs and rock formations all around the mountain, which makes a popular rock-climbing destination. There are many options for outdoor activities on Table Mountain and are regularly enjoyed by local and international visitors all year round. Our Table Mountain information guidebook provides you with everything you need to know about Table Mountain in Cape Town. From hiking and cable car tours to all about the animals and plants that call this mountain their home. You are about to embark on a glorious mountain that stands a whopping 1085m tall above sea level, surrounded by unpredictable weather patterns and the intriguing elements of Mother Nature. Clearly, this is no average tourist destination and careful planning and research are by all means necessary for an ultimate Table Mountain experience. 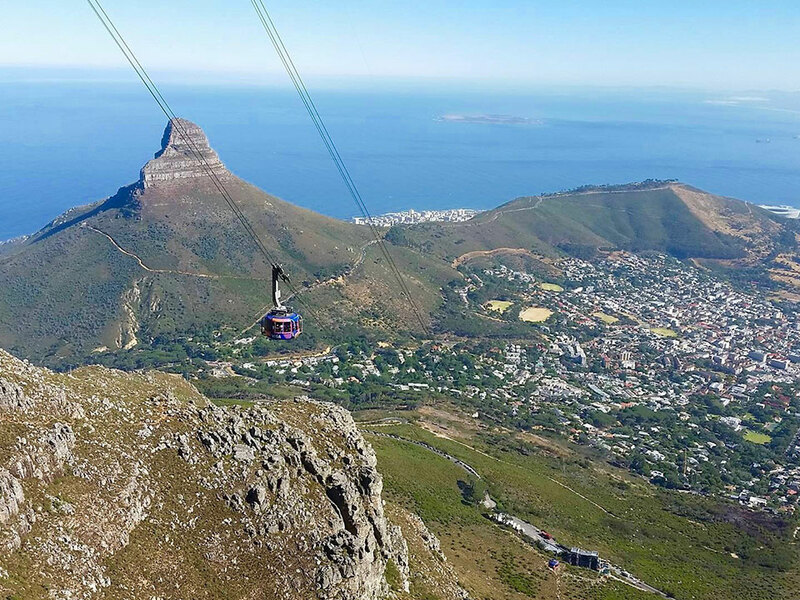 Whether you are hiking or taking the cable car, it’s important for you to understand the influence that the weather has on a trip up Table Mountain in Cape Town. Always try to plan your trip up Table Mountain in Cape Town earlier into your holiday to accommodate for any unforeseen weather conditions allowing time to reschedule your trip if needed. 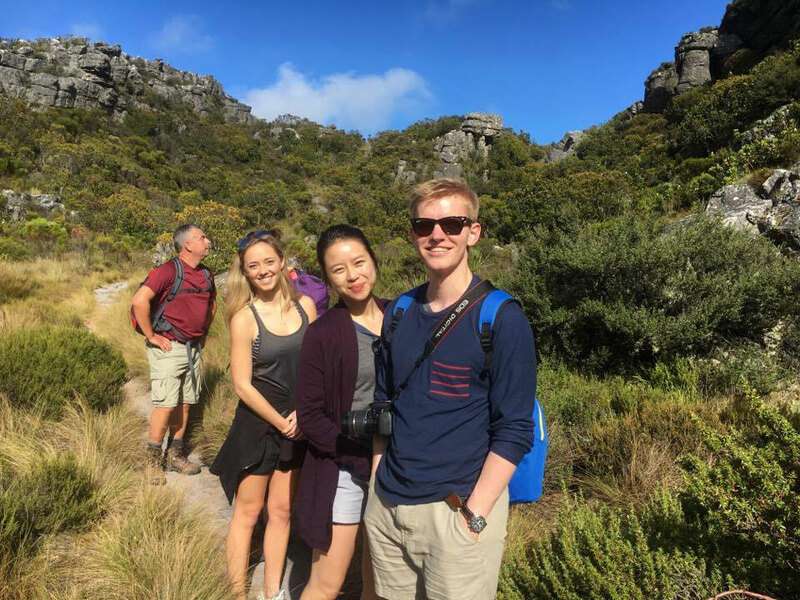 Hiking up Table Mountain is an adventurous option, and you’ll get to witness a lot more of the phenomenal sightings that make this mountain. However, with that said, no matter how you decide to make your way up, you’ll be visiting one of the most beautiful places on earth. The Table Mountain information guidebook is designed to aid you in planning your perfect trip.